We were there for a wedding. The property has loads of natural Florida charm. Very quiet area, cute cottages. Would stay again! 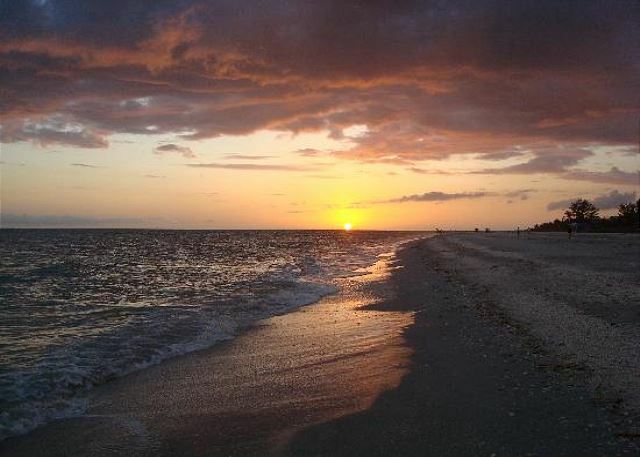 My husband and I were looking for a way to celebrate our 30th wedding anniversary on Sanibel Island at the beach that was quiet, low key and wouldn't cost us our retirement savings. Waterside Inn on the Beach fit our requirements perfectly. With the full kitchen we had breakfast and lunch at the Inn and then drove into town for evening meals. We tried a different restaurant each evening. We spent our mornings on the beach, a less than 2 minute from our room and our afternoons at the pool. It was sheer paradise. Checking in and out was quick and easy. The staff was helpful whenever we required help. I am hoping to make this an annual event and perhaps add other family members. I sure they would enjoy it as much as we did! Accurate description in general. View of Gulf from 1?2?4? is limited to the balcony, with trees in between. But lovely. Vey clean, excellent staff interactions. Nicely equipped kitchen. I would recommend Waterside Inn unreservedly. Good restaurant:. Il Cielo. Accommodates special diet. Baily's grocery store nearby well stocked. Waterside Inn felt convenient and safe. In late September, sunrise is visible a one mile walk down the beach. Sunset is visible from the beach in front of the motel. Awesome, Beautiful, Relaxing Beach getaway! My husband and I had a very relaxing stay at Waterside Inn. The staff is wonderful to work with and take care of any needs you have immediately. The rooms are not fancy but VERY clean. If you are looking for relaxation, this is your place. We moved to room 128 when it became available and it has the best view! The grounds are well maintained and the setting is tropical and beautiful. The sunsets are amazing and the beach is not crowded so you can really enjoy some alone time with your spouse or family. Don't miss eating at Doc Ford's and the Italian Restaurant, or taking a drive over to Captiva Island. Also, the Thriller boat ride was awesome! We saw lots of dolphins. Made reservation just a couple days before our arrival and had very helpful staff on phone. Loved to look out our balcony and see the ocean just yards away. Our room was very spacious and comfortable - fully equipped kitchen very helpful for quick fix meals. 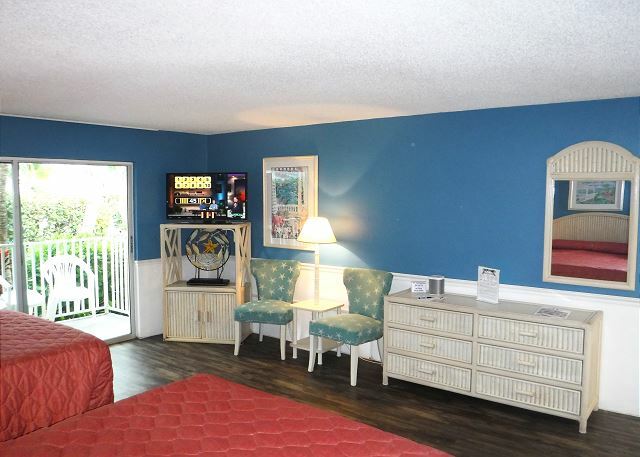 Nice family amenities - pool is lovely and on site bike rental is huge convenience. Fishing equipment also available at request which rounded out the whole ocean experience. We hope to be back!! We had a very nice stay at the Waterside Inn in late March. The place and room were lovely including a balcony under the palm trees, the location is right on the beach, lounge chairs were provided and beach umbrellas were readily available. The owners even hosted a beach barbecue one evening while we were there. We liked it very much and would definitely go back again. Quiet, clean, sandy, beachy, relaxing. I have been to Sanibel 3 times and stayed in 3 different, small inns on the beach and Waterside Inn is by far my favorite! The staff is awesome, the heated pool a treat and the beach was terrific. Several doors down is the Island Inn which I stayed 2 years ago, and although it has a wonderful restaurant, they have lost most of their beach front ... bummer! Can't wait to return to Waterside Inn!!! 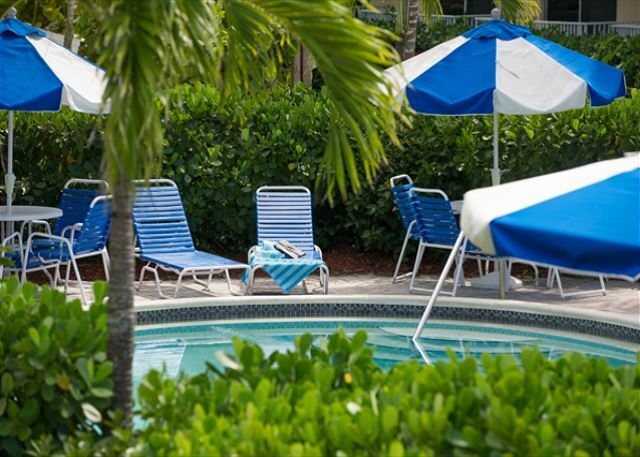 Whether you are looking for a long or short (3 day stay vacation as we did)Waterside Inn is the place to go for the perfect Florida get away...sun,sand,surf & sea doesn't get much better than that! We had a really nice time. We really appreciated all of Jason's help. This was our second stay on this property. 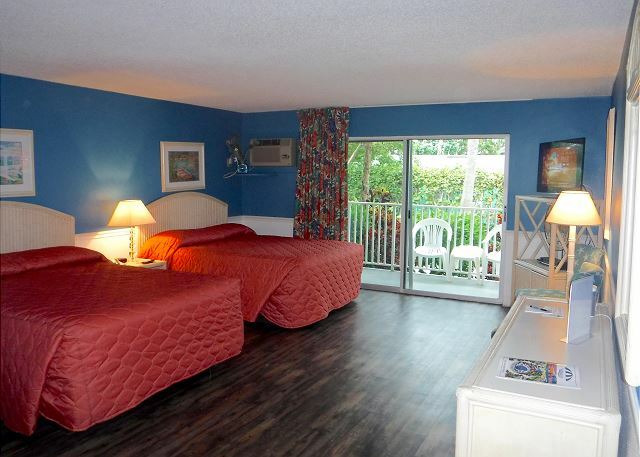 It's close to the beach and reasonably priced. We' ll return! It was wonderful. I was there with five of my grandchildren. Everything was great. See ya next year!